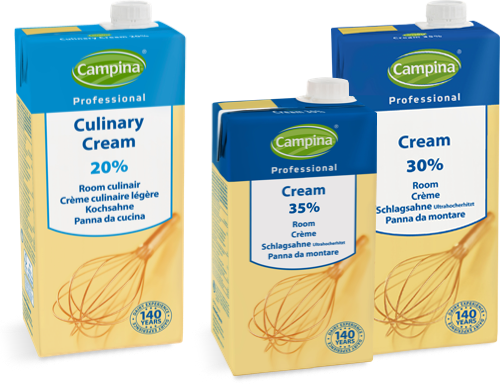 Campina Professional offers chef-quality dairy products. Traditional delicious dairy products for preparing both hot and cold dishes. Our products are functional and accessible, and easy to use. The variety of creams offers consistent quality and are competitively priced.